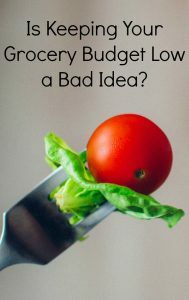 Is Keeping Your Grocery Budget Low a Bad Idea? Three years ago I prided myself on spending only $200 per month on groceries for me and my two daughters. I was in a stage of life where I needed to keep my expenses low and I certainly did just that. Fast forward to today and my grocery budget is close to $650 per month, if not more. That kind of stings when I type it out. Good for you food is more expensive. It really, really is. While I could fill a cart full of junk that would last me an entire month I can now fill a quarter cart full of healthy food and spend just as much. I saw proof to this last night. While I’ve been eating better over the past year I decided to start the Whole 30 program yesterday. The Whole 30 program is pretty self-explanatory – you eat nothing but Whole Foods for a full thirty days. This is supposed to reset your body and up your energy levels. So, last night I made a trip to Kroger buying nothing but whole food (minus 3-4 items I purchased for my kids’ school lunch.) My cart was probably half-way full and the total came to $236. That means my whole food diet could end up costing me $800-$1,000 for the month. If this diet proves to even out my energy levels, help with fatigue, and a few other health issues I have then it certainly will be worth it. Not to mention an investment in health can save thousands of dollars in medical expenses years down the road. However, at the same time I have to admit that I am not looking to spend this much money on food every week. It’s a little scary. I’m sure since I’m a beginner at buying only whole food that I’ll learn some savings tricks as I go. 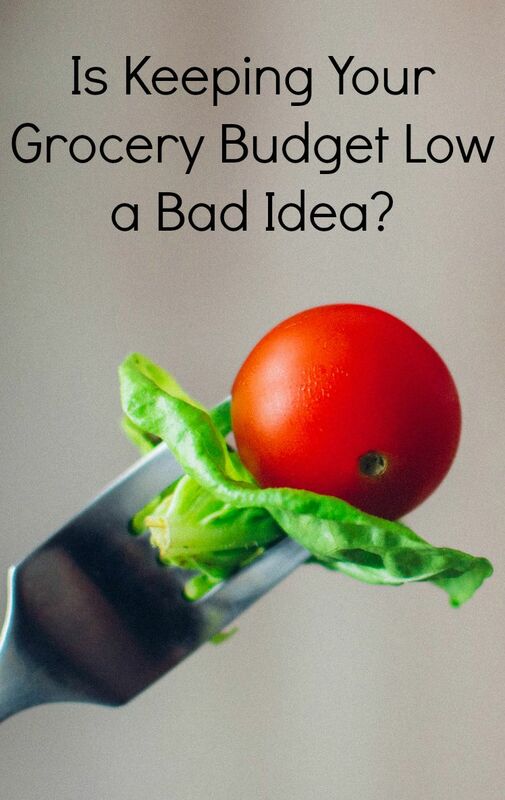 What do you think – is paying more for food worth it? And am I missing some healthy-eating savings tricks? I’m at the other end of the spectrum (we have always spent a lot on food), and I’m looking for the middle ground, too! Keeping a small garden has been helpful in the past, but we don’t have one now. Good luck in your journey… there’s nothing better than good health!